TAS 233 : (Hot Seat) Slow Sales After Running Out Of Stock – Now WHAT? Every Amazon private label seller is going to face this problem sooner or later: you’ll run out of stock so quickly that you won’t be able to get new products to Amazon in time. There are many ways you can deal with it, but what should you do to ensure that your sales resume at a good pace once you have products back in stock? 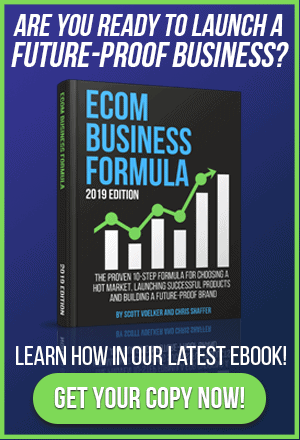 On this episode Scott and his friend Chris – both experienced Amazon sellers – are looking at a real Amazon product that ran out of stock and is now having trouble resuming the good sales it had before. Both guys have great insights into the issues that are causing problems, on this episode. Always check the trends surrounding a product’s sales before you launch. You may not think of your particular product as a seasonal item. But you might be surprised. Scott and Chris always recommend that a key component of your product research phase is to use a tool like Google Trends to research the trends of how your product has sold in the past. On this episode Scott and Chris discover that a product that was selling like crazy and suddenly lost it’s momentum is actually seasonal in nature. It makes a huge difference in how you approach your product sales and sometimes impacts whether you choose to sell that product at all. Are you making this mistake with your product title? In an effort to build brand recognition many Amazon sellers place the name of their brand in the title of their product. Both Chris and Scott believe it’s a mistake to do that. Why? Because unless someone is specifically searching for your brand name you won’t get any search juice out of having your brand name in the title – and the title of your product is one of the most important spots you want to have keywords that people may be searching for. On this episode you can learn some additional hacks you can use to optimize your listing for better search accessibility and greater sales. Do you have the right kind of pictures on your product listing? Amazon’s terms of service make it clear what type of picture can be used for your primary product photo, but when it comes to your secondary photos there are many things you can do to make them stand out and attract attention. On this episode Scott and Chris analyze a real private label product that is having problems with sales and the images are one of the things they notice. Find out what remedies they recommend and get some ideas for how to improve your own product listing, on this episode. Look at the product that is selling the most in your niche and imitate what they’re doing. It only makes sense that if one product in your niche is dominating the sales, you should borrow from what they’re doing. Never use the exact photos they are, but if you can create a photo that is similar in approach or feel, do it. Never completely copy their title or description, but if they are expressing the usefulness of your product in different ways, try to learn from what they are doing. You’ll find some “best practices” from those who are doing it the best – so be sure you take the time to analyze your competition. [0:03] Scott’s introduction to this “Hot Seat” episode of the podcast! [1:26] How you can get into Scott’s free workshop. [2:08] Get into the TAS Facebook group. [4:28] The scenario the guys are looking over today. [6:03] Initial thoughts about the out of stock problem and lagging sales. [9:00] Why you want to look at the trends surrounding products before you launch. [10:28] Using Jungle Scout Pro to look at the Amazon search results. [13:50] Looking at average sales to assess true market depth. [14:20] Keyword results: Something that seems to be missing. [17:35] Pictures are a HUGE issue for product sales. [21:20] Potential products to feed sales alongside this product. [23:30] Build out content around the product. 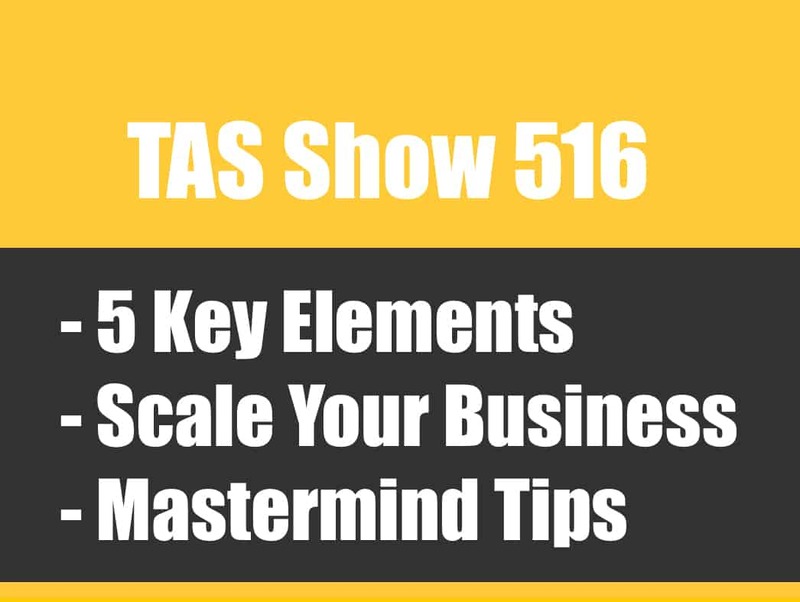 [25:15] Great tricks learned from the highest seller in the niche. [27:20] The importance of benefit driven copy and descriptions. [32:40] Should you jack up your price when you’re about to run out of stock? [39:25] Summarizing the assessment of this product. …another listener’s business that’s already up and running, was having some success and then ran out of stock and then tried to slow down in that process as far as running out of stock and then once he got stock back in it didn’t go as planned and wants to know why. We are going to break that down today on the podcast. Now before we jump into that, before we go ahead and listen to that hot seat session that I just said that Chris and I had already did for you. Before we jump in I did want to remind you that all of the show notes to this episode will be posted, all of the transcripts again I know a lot of you want to download these because you either have to read them at work or whatever because you can’t listen. They are there for you and you can always find them by heading over to theamazingseller.com/233 and you’ll find them over there. I also wanted to remind anyone that’s brand new to the podcast or to this business model and they want to learn how to earn their first dollar on Amazon we actually do a free private label workshop where I wake you through the five phases for getting started. You can register for an upcoming workshop by heading over to theamazingseller.com/workshop. Once again that’s theamazingseller.com/workshop and we also answer some live Q&A over there as well. Lot of fun, we just love doing them and we break it all down for you in that workshop. [00:02:03] Scott: Anyone new definitely go over and register for an upcoming one of those. Before we do jump in, one last thing that if you guys have questions and you want to get an answer like almost immediately I would definitely recommend going over to our TAS Facebook group. Over 30,000 people currently in there, thousands of questions have been already asked and guess what, you can search through the search bar, the search tab in Facebook, in that group and you can search for your question. Most of the time you’re going to find a thread that’s already been created and there’s already been discussions. I would definitely say that’s a great place to go. If you’re not already a member of that free group head over to theamazingseller.com/fb you’ll request to join, usually in a couple of hours you’ll be approved. All right guys that’s all I got for you now, let’s go ahead and jump into this awesome hot seat that I did with my good buddy Chris Shaffer, enjoy. [00:03:08] Scott: Well hey Chris, what’s up? We are back to do another hot seat session. What’s going on my man? [00:03:14] Chris: Not too much man, loving this summer weather. It’s going between a 160 degrees here in Texas. Anytime we get a thunderstorm it drops then it spikes right back up. It’s been a crazy week for storms but other than that I can’t complain one bit man. I’m pumped up, I love doing these hot seats, they’re a lot of fun. [00:03:32] Scott: Yeah, we’ve been getting a lot of feedback, a lot of comments back after we do these and I want to continue to do them. I know you and I, we want to do them also because we’re helping people but also we’re kind of doing our workout routine here because we do these also at the… We did them and we’re going to do them again at an upcoming TAS breakthrough live which we don’t have the official date yet. If you want to know more about our live event that we’re going to be doing in the near future head over to theamazingseller.com/live and you’ll see probably a recap video there from the last one and you can also sign up for an interest list if you’re interested in attending one of those. I love doing these as well and it just seems like everyone that listens to these always gets some golden nuggets from there because you can’t really script this. We got to kind of go through these and kind of dissect them and it’s just a lot of fun. Why don’t we do this, why don’t we go ahead and why don’t you read through part of that email that we received and then from there we can go ahead and kind of break through or kind of go through those numbers and kind of where the sticking points are. [00:05:08] Scott: Yeah that’s awesome. [00:05:09] Chris: “I was loving life and thought I had it all figured out. However, I was quickly running out of inventory from my first order of a 1000 units. I had to raise the price to slow down sales to hold me over inventory-wise until my next batch came in. This killed my BSR but I wasn’t worried. I was just going to lower my price back down to generate a bunch more sales. However, this didn’t work. By the time my inventory came in I feel as if my listing was dead in the water. I ran a promotion for 50 units to get my BSR back and still had no luck. After a short term lowering of my BSR from the promotion I still wasn’t generating any sales. I even bumped up my bid for my keyword to $10.” On pay-per-click I’m assuming. [00:05:48] Chris: “I’m still on the first page but at this point I’m not receiving any sales. I’m not sure where to go from here. I was consistently getting 35 sales a day before at a higher price, now at a discount I’m still struggling. Do you have any suggestions?” Scott what are just your initial thoughts on that before we even dive in and look at his keywords and look at his listings? What are your initial thoughts on what might be the issue? [00:06:13] Scott: Well, the first thing is it sounds like, before even looking at anything, it seems like he was doing well. His name is Mathew by the way too, just so we can him by name so it’s Mathew. Mathew thanks for submitting this and reaching out. The biggest thing is, and this happens to a lot of people. They’ll launch, they’ll get out the gate and they’ll start getting some sales or maybe they even stumble into some sales and then they kind of take their foot off the gas. My first thing would be like okay you went ahead, you got up and running, running out of a stock is an issue but from there you should be able to get back up and running but the one thing that sticks out to me is you did a promo of like 50 units. Right away I’d be thinking to myself okay maybe that wasn’t enough, what kind of reviews do we have? Do we have enough reviews to be able to convert against our competition? That’s what I’d be thinking. The other thing I’d be thinking is your pay-per-click you said you we bidding up to like $10 and you’re still getting anything. Then I need to look at the keywords that we’re targeting. Maybe we’re targeting too direct of a keyword or maybe we are too broad of a keyword. We have to go ahead and figure out those keywords, not that are so obvious but the ones that will bring in sales and I would look directly at like competition and see what they were doing and then kind of reverse engineer that. That’s my first high level view I guess. [00:07:44] Chris: I feel the same way and the thing that kind of stuck out to me as he’s saying okay from March to May and then it kind of fell off a cliff. To me the first thing that that triggers is, “Is it seasonal?” I went ahead and looked at Google trends and Scott I’m sure you’ve done this as well on his main keyword and it does look to me like this is the stereotype of a seasonal product. The thing that’s interesting is there are two seasons for it. From the beginning of the year through May it looks like the demand is pretty good then it kind of falls off a cliff until July and then it goes back up. It looks like there’s two or three months where I goes from a fairly high demand product to a very low demand product. That’s kind of the first thing that sticks out to me. [00:08:32] Scott: All you’re doing here just to let people know too you just went to Google trends you typed in the main keyword of the product and then from there you just kind of looked at the history. You’re going all the way back 2005 and 2005 I mean heck in December I think it was, was it December was the top month? [00:09:00] Chris: They’re almost number for number identical. [00:09:02] Scott: Almost number for number, exactly. It was very clear when you look at the data guys. When you’re having an issue of sales or anything like that the first thing that you want to do is definitely do this and also you want to do this is your product research. [00:09:17] Chris: The other thing that’s interesting here is Google trends. Scott I don’t know that this is something you and I have talked about but they have a regional interest category that shows you who’s searching for that specific keyword. The thing that’s interesting to me just kind of as an aside is that the demand is actually higher in the UK than it is in the US in terms of overall interest for this keyword. [00:09:38] Scott: That is an interesting point. [00:09:38] Chris: Just something that I don’t generally see in Google trends when we look especially with products on Amazon. Just kind of something that stuck out to me. If he gets over some of his fears here about the product falling off as his sales start to increase, after he listens to this hot seat, the UK may be an interesting place for him to do a little bit of a trial expansion maybe. [00:10:02] Scott: Absolutely and again I think looking at this data even before hand anyone that’s doing any product research definitely wants to look at the Google trends just to get that intel like who is you audience? Who is your target? Like you said Chris I mean launching in the UK that might be an option for you, maybe not. Maybe it’s down the line but at least you know that that’s there for you as well. [00:10:26] Chris: Exactly. Scott the second thing that I like to do and I know it’s something you like to do is just take a look at the Amazon search results, so let’s go ahead and do that. [00:10:34] Scott: You pulled up just now just so people know they can’t visually see this but you just pulled out Jungle Scout for the main keyword and that’s what we’re looking at. We’re pulling that up, Jungle Scout Pro we’re looking at and we’re looking at all of the data here so why don’t you go through some of that data Chris. [00:10:49] Chris: The first thing that I’m notice Matt, I’m going to give you a hand clap on this as you are the number one sponsored listing as we’re looking at this. It looks like you may have figured out your PPC stuff, if not it’s at least working part of the time. The first thing that kind of jumped out to me when we’re looking at this Scott is there’re a fairly decent number of sellers. The average price point is on the lower side but that’s not really our concern here right now and that’s kind of dragged down by some people at $9. Most of the sellers are in that range that I would feel comfortable with. The thing that I notice here is it’s extremely top heavy, meaning the guy that ranks number one is getting almost all of the sale. He’s getting almost as many sales as everyone else combined on that first page. It’s 1,178 let’s just call it 1,200 sales to make it even. The next guy down is 58, 214, 414 so that one is a decent listing, 170, 86, 298, 52. It looks like a lot of these guys are under that ten a day mark. Again not a huge deal if that’s not your goal but I know you and I tend to look for products that we can get 10 sales a day from. The overall volume right now in this market is a little lower. [00:12:01] Scott: Yeah. The other thing I want to point out though real quick Chris is if we’re looking at the price too just to let people know like the number 4 spot, like you pointed out they were selling 414 and actually that’s Amazon’s listing. It’s got 1,604 reviews, it’s a three and a half star rating and it’s only $9.97. I don’t even know if I would classify that as my… It’s probably my competition but I wouldn’t look at that to do data I guess against data because it’s kind of skewed. If we look at the one above that, number three, that’s more in line. That’s $23.95 and it is, let’s see, 214 sales a month. Currently right now with 359 reviews, 5 stars. Then I would go down a little bit further and I would look at the next one which is, I believe that is actually his, isn’t it? [00:12:55] Chris: That’s his listing. [00:12:56] Scott: Okay so that’s his listing. Let’s see here, $19.95, 170 units per month that could be part of a promotion, we don’t know. Mat I don’t know what you’ve done. You’ve got 73 current reviews, 5 star so that’s that. If we go down a little further then it just, again it start to drop off to like 80, 85, 68 all in that price range with again not that many reviews. The depth is really not there but that doesn’t mean that you can’t still get your 10 a day. [00:13:35] Chris: Well the other thing to keep in mind is this is going to be… We’re looking at that big trough in the Google Trends’ data as well. There may be demand there at other times of the year but as of right now this is just kind of how we see that shake out. The other thing Scott that I want to point out here is that you and I talk about looking at an average of 300 sales per day and if you look at just the snapshot at the top of Jungle Scout it looks like that depth is there, average 364 sales. You can’t just look at that number guys when you’re looking at Jungle Scout you have to look at the estimated sales and it’s not really an average more like a mean where we’re saying here’s the average number that an individual seller is getting not necessarily the industry average because the number one guys is selling 1,100 so that’s going to drag everyone else up. [00:14:29] Chris: Just another little aside of something to point out there. 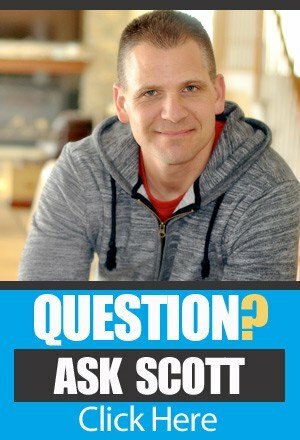 It looks like he is at least selling a couple a day now which is always good to hear Scott. When you take a look at the keyword results what’s the first thing that you kind of notice? [00:14:43] Scott: At the keyword results that I’m looking here I definitely see that there’s a different keyword in there than is in his. It’s pretty obvious it’s right in the front. We don’t want to say it without giving it away but it’s pretty specific It could be a little bit different of a product because it’s like a size type thing. That’s what I’m seeing. [00:15:08] Chris: Well and the other thing to keep in mind here is his brand name is at the front. [00:15:14] Scott: That’s true, that is true too. [00:15:15] Chris: This is kind of a sore spot for a lot of people and actually I was having a conversation with a good buddy Bill the other day and he said, “Well I’m always going to put the brand name at the front so that’s fine. To me unless somebody is going to be searching for our brand name, unless you’re a well known brand in that space or you’re starting to get a lot of recurring sales I wouldn’t necessarily put the brand name at the front. I would put my keyword at the front and it looks like the guy’s selling 1200 a month has done exactly that. It is the main size plus main keyword and then benefits, benefits, benefits. [00:15:51] Scott: Because it seems like this particular person that’s looking for this is looking for a large one or a medium one or a small one. If you have that, if your audiences or your market is looking for a certain size of something you probably want to put that in there. Now I see it in his title bit it’s kind of at the end of the title so will he still get picked up for it? Yes but it’s almost like, years ago we were talking about SEO. It’s like if you can be exact for what they’ll looking for on the front it makes them see as though it’s meant more for them. It’s the same thing as going like if you know that you’re targeting your product for a certain type of person maybe, I’m just going to throw this out here but someone that’s like 40 or over and if you have something that said specifically designed for 40 and over that’s going to call out to me because that’s who I am. If you’re looking for a medium one or a small one or a large one and you know that that’s your… I’m not talking about like sock size, I’m talking about like a size of a unit. That’s again just my thoughts on that. [00:16:59] Chris: The other thing that sticks out to me here in terms of the title before we move on is it doesn’t look like he’s filled it out completely. It looks like there’s still some room to add some keywords and this is again a point of contention for people. Do I make it short and readable? Do I make it long and keyword stuffed? There is a mixture there where you can make it long and readable and that’s something that his competitor that’s selling a lot has done pretty well. I wouldn’t say copy this exactly but I would say take a look at it and see what you can learn and do from there because he has significantly more keywords that would be used in his title than you do man. Take a look at some of the other titles of the listings that are selling really well and see if you can maybe modify yours to be a little bit more like those. Scott what’s the other thing that sticks out to you here when you look at his listing versus the one that’s selling a whole bunch? [00:17:53] Scott: Pictures. I see the picture right away. His is actually I believe violating terms of service. It’s not completely on a white background and it needs to be. I get what he’s trying to do, it’s more of a lifestyle picture or like in like where it would be used kind of picture, and I get that, but you still need to have the white background. I also think that the one that is being displayed, the top seller is actually showing it being used and that gives the person that is into this type of product it’s going to give them like that instant gratification of why they’re buying it. I see pictures I even see on the other one that is selling okay. Right there Chris, your cursor is on it. That one there the same thing, it’s showing it being used. I would change that up. I would try to model something like that doesn’t have to be exact but to kind of model that. That would be my first thing looking at it other than what we just talked about. [00:19:04] Chris: That was kind of the next thing that stuck out to me as well is you have a picture that is… It’s a nicely style picture but there’s two things not necessarily wrong but not ideal about it. The first thing is it doesn’t really show me anything about the product in the thumbnail like I can kind of tell what it is. It looks backwards to me and it looks really small. I know that that when I click on the listing it’s not necessarily going to be but that’s because I’ve looked at it already. It is a decent size but you want to show this one from the front because you’re showing it from the back. Two you want to show it in use. If you look at the ones that are selling really well they’re all being shown in use. It is a product that needs to have that aspect to it because it’s something that people would use for a very specific purpose. I’m trying to say that without giving away the product. There’s different reasons that they would buy different ones of these so you kind of want to show people exactly what it is and what would use it with you. Taking a look at his pictures in the listing it looks like almost all of them are more of the lifestyle shots and then he’s got a really nice logo in there at the end which is kind of cool. [00:20:30] Scott: Let me throw something else in there too. [00:20:33] Scott: On the images, the images like I said think that they’re critical we got to test stuff too. We just did a workshop with Greg Mercer and he’s got a software called splitly but you can do it without even having a software where you can just change those images but I would be curious if you took that image out and then you tried it with a similar image to the other one and you compare those side by side. I think you’re going to see a difference in conversion. The other thing is the reviews to me. You got like 70 some and I think that’s fine we’re over 50 so that’s good but I would still work on that that’s where a promotion would probably come in. As you were kind talking there I was going through his top competitors listing their store front and in their store front they don’t sell any other related product to this product and this product lends it’s hand to a lot of other products. Matt if you are thinking of building this out as a brand, you could potentially launch other products and then you could take some of the market from this particular person because I don’t believe that this seller is focused exclusively on this item. What’s your thoughts on that Chris? [00:21:43] Chris: He’s not. It looks like the main competitor has a lot of industry, like niche related things in terms of the broader sense possible, Amazon categories is the same. That’s really the only thing that they have in common with this product. It looks like his competitor has been doing private label for a while and is doing a very good job at it but if you kind of stick down to this industry a little bit further look at this particular niche I think there’re a lot of other related products that you can launch that would help you start to take over some market share from this guy. [00:22:18] Scott: If you and I were talking about this Chris privately which we’re not we’re talking about this publicly on the podcast but we would be talking all about, okay we know that there’s a big market for this. I know there’s a certain age demographic for this market, I know that personally because I know people that are into this and I may be getting into this. I think because of that I’d be thinking about okay I can write content around this particular niche and I can get people to consume that because people that are using this product are very interested in the things that are, the different uses of this product. There’s definitely room to build out a sales channel, a sales funnel externally not to kind of overwhelm anyone listening to this but again that’s why we talk about it. If your product lends itself to other products and then content around the product like this is to me a perfect example of how you could build out some content around this brand and then get people to start consuming that or even offer something free. I don’t think that the other person gives away any type of free resource which I think this thing lends itself to a really, really good extra bonus guide of some kind. What’s your thoughts on that Chris? [00:23:48] Chris: I like that a lot. It’s funny you were talking about some of the external stuff that you could do and it leads me down the path of a lot of related products to this that would go really well. You can sell the garlic press and the garlic and in this niche it makes sense to sell the garlic. It makes a lot of sense to sell the garlic and you can do a lot of those kinds of things. It works even better externally than it does on Amazon when you do some of those kinds of things but you can do on that Amazon the same people that are looking for the garlic press in this space are also going to be looking for the garlic. It lends itself really well to that. [00:24:31] Scott: There’s even some expensive devices that we know that people that are in this market could potentially buy because they’re going to need it for their travels kind of thing. Without giving that away but you know what I mean? Even though this is only a $24.95 or $19.95 item there’s product out there right now that could be $100 or $200 products in this space I know for sure. Like you were saying you’re almost could find a recurring model in selling the garlic for the garlic press. [00:25:08] Chris: I like it. [00:25:09] Scott: I like it a lot. Now I’m hungry. [00:25:15] Chris: Let’s take another look at these two listings side by side and guys we’re looking just at the main competitor, the guy that’s selling the most just because that’s the person that I would want to model in this space. Beyond even that main photo Scott, the thing that sticks out to me is the supporting images. We kind of hammered on making that main photo a little more friendly but if you looking at the supporting images on that top listing, this guy’s crushing it. He’s got everything that a customer could possibly want to see. He’s got a photo with the product dimensions, he’s got an explainer photo about the different features which is a really cool thing that you can do. He’s got a photo of the packaging which I’m kind of indifferent about and then he’s even got a photo of the instructions on the back of the package. He’s doing a really good job of benefit driven copy, it does this, it’s easy to do this, it makes everybody happy, it does all these kinds of things. Look like right there, looking at this main listing in the frequently bought together they’re selling the garlic. Sometimes I like to get some social proof from Amazon. I feel validated now. [00:26:36]Chris: Jumping back to Mathew’s listing here, the photos again are good but most of them aren’t giving me as a consumer a good idea of exactly what they’ll do and what the product is designed for. I don’t know who’s going to use it, I don’t know the size of it because of the way the photos are taken it does look kind of small so maybe a dimensions photo would be nice. Maybe see if you can work some of the photos that we talked about your competitor using that work really well like the explainer photos some of those kind of things into your listing and I think that’s going to help a lot because even once I get to your listing if I can get past that initial photo and say, “I really like the way this one sounds,” and click on it or I see your sponsored listing. If I’m looking at these supporting images, and Scott correct me if you feel differently on this, but I think this is a pretty image driven product. [00:27:30] Chris: People want to know what it looks like and they want to see it. [00:27:37] Scott: They want to see the results of what’s going to happen when they use it. There’s a lot of different ways that you could show that with this product. [00:27:46] Chris: The next thing down that we tend to look at on these is the bullets. It looks to me that the first two are pretty good and then it goes from benefits back to features. The thing that tends to work the best guys and you’ve heard Scott and I talk about this in previous hot seats is benefit driven copy. People want to know what it will do for them not necessarily about the product itself. If you can give them an experience and we talked about this back when we did Katie Kay and we said do it with the photos. They can’t try it on the store they have to do it online and they have to see what I looks like. You also need to do it with the bullet points. They need to feel, if there’s somebody who’s going to read the bullet points and not everybody does and you guys have heard me talk about that in the past, but if it’s somebody who is going to read the bullet points they want to kind of have that experience as they’re reading through the bullet points. They need to understand exactly how it’s going to change their experience pressing garlic. Something that the competitor again is doing pretty well that you started out doing that and then you kind of switched back to features so maybe you want to take a look at that as well. [00:28:58] Scott: I would go into the competitor’s reviews too and I would dig through those and I would start seeing what people are talking about the product. They’re going to be showing like there you go I think you just went to it and we’re seeing all of these pictures of it being used, we see people in their own words talking about what they love about it. Guess what you need to use that In your add copy because those are real people saying exactly why they purchased the item and how they’re enjoying it then I would also look at the negative which it doesn’t look like there’s a ton of negative for this one to be honest with you but there’re a few and if we go. [00:29:38] Scott: Yeah, there’s one. [00:29:42] Scott: Okay. Some of them are silly. One of them, the second one there Chris, maybe you didn’t give them what they wanted or something. Without giving it away it’s hard but some people are just… I see a couple here that could be an issue with the product which you may want to make sure that yours are a better quality. Once that you start that, like if it was a garlic press and it came with a rubberized handle that was like a coating over and it was peeling up, then you’d want to make sure that yours didn’t peel up. That’s how you can reverse that. A lot of these are good so why not go through all of the good ones and then make sure yours is going to offer the same thing and then from there you’re able to let people know in your ad copy or in your copy to your listing that that’s what yours will offer because we know that that’s what people are looking for in this space. It’s pretty powerful to be able to use the same wording in the same language and different lingo that people use in a certain market. [00:30:55] Chris: Exactly. Even the thing that’s interesting to me here Scott or going back to selling the garlic one-off, even the negative review says, “We bought it and we bought the garlic,” which this guy doesn’t sell the garlic but it is in that frequently bought together so if you can match those things up it makes a lot of sense. Even the people who didn’t like it bought both. [00:31:17] Scott: Yeah, exactly. Hey, did you go into CamelCamelCamel, can you do that? [00:31:21] Chris: I can do that. What do you want to look at in CamelCamelCamel? [00:31:25] Scott: Let’s not look at Matt’s here, let’s look at the top seller right now. I’m curious to see how long they’ve been selling and their history and we can go through that. Anyone that’s listening, that’s what I always do, I want to see longevity, I want to see history of what they’re doing, since we’re here I don’t get fooled. It looks like, let’s see, on the price history if we can get to that. Looks like you need to log in Chris, are you logged in? Yeah, here we go. August 2015, just about a year they’ve been selling which is awesome. We have history but we also have… Look at that, look what they tried to do, they tried to jack it all the way up when they must have been running out of stock to $149 from a $20 product, that seems strange. [00:32:21] Chris: They may have had a hijacker, they may have… That was recently, the 11th. [00:32:28] Scott: That was May. That’s strange but they might have been running out of stock too. We’ve got the sales history, the price history looks pretty much consistent about $20 to $24.95. [00:32:41] Chris: Scott, while I’m logged in to CamelCamelCamel here, what are your thoughts on jacking your price up? [00:32:48] Scott: I’ve got a new thought on that. [00:32:51] Chris: To run out of stock? [00:32:52] Scott: Yeah, I’ve got a new thought on that and I forget where I heard it but it makes sense. Here’s the deal, if you’re running out of stock and I say within a certain amount as far as pricing goes I think it’s okay, but if you keep jacking and jacking and jacking, like if you did that, if you jacked it from $24.95 to $149 to just slow down sales, the problem with that is you also slow down how many you’re selling and that’s what you’re doing. The other thing is you’re also letting Amazon know that you’re conversion rate is dropping. Because of that when you go to re-launch, when you get back in stock they’re pretty much going to base your ranking from your past when you ran out. My thought process is I really wouldn’t do too much to play with my price anymore, if I would subdue it, it would be just like maybe a dollar or two but I wouldn’t want to slow it down completely because then the conversion rate’s going to drop and then I’m going to be hurt when I go to launch again. What’s your thoughts? [00:33:58] Chris: Part of that came from a conversation you and I had about the product I launched right before our live event where we ran out of stock pretty quickly and we realized we had no chance of stocking back in before we were going to run out. I said let’s just let it run out full steam and see what happens. The day we stocked back in, we went from like 11 or 12 a day, the day we stocked back in we had like two and then the next day was three and then five and then within a week we were back up to 10 plus sales a day without doing anything. I think it’s because and again this is purely speculation, but I think it’s because Amazon knows your sales history, they know how you were selling before, they know what your conversion rate was when you were in stock so they plug you back in to some of those similar spots and see if you perform similarly. If you do, if you perform like you were performing before then that’s great. If you jack your price up and tank your conversion rate or tank your sessions or do any of those kinds of things because your price is significantly higher, you’re going to be less likely to sell for those keywords. When you come back in stock and you’ve lowered your price all of that gets factored into your sales history, Amazon knows you’ll then “less likely to convert” so they’re not going to show you as much so you’re going to have to do more when you get back in stock in my opinion. I’ve run out of stock both ways and it seems that running out of stock just doing what you’re doing is the better way to go. Again, that’s just based on my experience. It seems to me that that is the better way to go and I’ve done it twice now with that same product without really many issues other than a couple slower days when you first get back in stock as you ramp back up. With that aside, let’s take a look at the sales rank history for this competitor here. What’s the thing that sticks out to you right away? [00:35:47] Scott: They ran out of stock a few times because you can instantly see they… When they launched in August they were around eight, maybe nine thousand BSR and then they went up. In September they went right to 41,667, something like that and then they went right back to actually better, they went to probably about a thousand BSR up until about November and then they fell off the shelf again to 41,000. Then they went back when they got back in stock in December or actually a little bit late November and then in early December then they started to run out looks like slowly. That might not have been a stock issue, that one there in December might have just been a slow in sales because it was after Christmas. Then once January kicked back in again they then had a slight little drop again in January then they’ve been consistent since February up until about April, May, somewhere in there and then it looks like they started to drop. [00:36:55] Chris: Which is the same exact time period that Matthew had an issue and it looks like it wasn’t until the end of that time period that they raised their price so just another little interesting side note there. Since then they seem to have recovered fairly well, they’re back up to around an 1,100 BSR. They’re selling fairly consistently and I would say with the exceptions of running out of stock, they’re going to be selling fairly consistently at that. [00:37:27] Scott: I guess too, look it, they’ve only been selling for a year but we have some history. If we did the same thing and this particular seller was only selling for three months I’d be really skeptical because I’d be like there’s probably promos involved and all that stuff but pretty much these sales that we’re looking at are probably consistent and they’re going to be true so this way here we can base our decision moving forward and have a little bit of history of what we can expect because I think that’s really what we’re looking at here. [00:37:57] Chris: I think this bodes well for Matthew as well to say it does recover because you go look at August, September with the exception of running out of stock, October, November… Q4 looks really good, which I wouldn’t have thought for this. [00:38:14] Scott: Let me also mention this, I also noticed in the competitor’s title that they mentioned that it could be given as a gift or… Yeah, so it was mentioned as giving it as a gift who would like it maybe? If this is a gift giving thing, well guess what? You’d probably want to put it in there. I know we can talk about the title, Amazon really doesn’t like it when we put things in there that aren’t just the product. You’re not going to hurt yourself by putting it in there, only thing that would happen is A, they would warn you or whatever and tell you to take it out of there or your listing could get suppressed for a day until you do it, that’s happened to me. If you don’t put it in your title, put it somewhere in the bullet then because, again, that is a benefit and if it’s a benefit we want to put in there because the benefit is you’re going to be able to give someone a great gift and you’re going to make that person happy so they’re envision that person they gave it to is very happy. Just my thoughts on that. [00:39:25] Chris: Scott, wrapping up here, first is there anything else big that you noticed that you want to let Matthew know about it. [00:39:34] Scott: I don’t think there’s anything big other than, like I said, the main things that stick out is the title, having the brand as the first thing, I would switch that up. You can still out it in there but I would put it more at the end and I would out more of the main keyword somewhere in there. The picture, the main picture I would change that, I would make it more like my competitor but not by copying it exactly, that’s the other thing I would do. The other thing that I would do is I’d start thinking about product number two that could support this product, that’s the other thing I’d be doing. This is again like what we can do on Amazon. The other thing I’d be thinking about is this something that I’m either passionate about that I want to build out more and if it is then maybe what I should do is start thinking about that external content, blog where I can start getting people or give people information about this particular market. The other thing is maybe add that special guide that they’ll get for using this to maybe educate them on this device or what it can do for them. Those are just some top level things, I guess. [00:40:53] Chris: I would say probably the first two things that stick out to me and the two things that I would do right away man are get those photos squared away, have them shot by a professional photographer. The ones you have look nice but they look more like what you would see in the reviews, they’re not necessarily product photos. I would focus on tying to I’m not going to say copy but we’ll use the word film hack. We’re going to take what we know works and model it so don’t copy the shots exactly but take what your competitor’s doing that works and see if you can out your own kind of spin on it, so do that. The title would be the other one. Man, the first thing I would do, I would drop my brand name from that and I would make it longer if you’re able to do so inside of seller central. It looks like you are able to do so because most of your competitors actually have a longer title and it gives people a little bit of a better idea of what he’s going to get and obviously you get the added benefit of the additional search terms. The other thing that I would take a look at is make sure you’re using, and it’s not something we talked about here today Scott but I know you’ve talked about it a couple of different times is, make sure you’re taking advantage of the way search terms are done now. If you built your listing in February of March, which it sounds like you did, you may not have had access to the longer form search term fields in the backend so make sure those are filled out completely. I am noticing a lot of people who launched that like February or before when we do these kinds of things have not filled those fields out completely so Matthew if you haven’t done that make sure you go back and fill out those search terms fields. The other thing to keep in mind here is it’s not the end of the world that looks like the market is going to come back up and you are in a good place to recover especially if you start to square some of those things like the title and the photos away and improve upon what you have there already. [00:42:52] Scott: I think that was great. Hopefully this has helped you Matt and we appreciate you allowing us to do this hot seat for you. Anyone else, again, that wants to maybe attend a live event where we do this really in person and in a room of about 30 Amazon businesses, you can always head over to theamazingseller.com/live and you can register to be notified when we do another one of those, it’s really awesome. We’re not sure but we may do some recordings of that in the future but as of right now we’re strictly doing it for the live attendees. [00:43:41] Chris: Putting in reps.
[00:43:42] Scott: Putting some reps baby, we’re getting up some weight today. [00:43:45] Chris: Pick things up and put them back. [00:43:47] Scott: That’s right, that’s that commercial, I pick things up and I put them down. That’s great. All right Chris, you have an awesome day and I’m sure we’ll be talking really soon brother. [00:43:58] Chris: All right man, take care. [00:44:00] Scott: All right, there you have it, what an awesome hot seat, I love doing them. Let me just say, I get a lot of emails after we air these and I get a lot of people saying, “Scott, would you critique my business?” The truth is I would love to but there’s just not enough hours in the day or days in the weeks. I’m not saying don’t send in those requests, that’s fine, but we may not be able to or most likely won’t be able to do all of them because there’s a lot of them that come in compared to how many hours we have in the day. These are awesome, I love doing them and a lot of people have said they’ve gotten a ton from these because it’s like we’re digging through on the fly, we are doing this right along with you. Now, I will say if you’re at all interested at joining us for our TAS Breakthrough Live, we’re going to be having another one come up here soon. I say soon, probably in October 2016 so if you’re listening to this before then well then you can still register to possibly attend and I say possibly because we’re only having a limited number of spots available. We may do one or two days but it’s going to be limited to at least 30 per day. Let me just say if you are at all interested in joining us live in the same room together doing hot seats like this, dissecting businesses, head over to theamazingseller.com/live and you can register over there and be notified when we announce the next one. They’re a lot of fun by the way and we just had a lot of fun with the first one and we’re excited to possibly do the second one. If you’re at all interested I urge you to go over and register for that. Guys, that’s pretty much going to wrap up this episode of the podcast. I get so pumped up to do these. It’s mind boggling as to why, I don’t know, I just love talking about this stuff. [00:46:00] Scott: One last thing I’ll remind you as well is if you want to download the transcripts or even just read then on the blog you can always head over to this episode which is 233 so the direct link there will be theamazingseller.com/233. The other thing that I will do there is I will have my show notes guy put on the past hot seats that we’ve done, I’ll have him link them up at the bottom of that particular post. If you want to see some of those other hot seats, if you’re really enjoying these hot seats I’ll try to group them in one spot and this will be this episode so that is theamazingseller.com/233. All right guys, that’s it, that’s going to wrap this session up and once again always know that I’m here for you, I believe in you and I’m rooting for you but you have to, you have to… Come on you’ve heard me say this so many times, what do you have to do? You have to, “Take action!” Have an awesome, amazing day and I will see you right back here on the next episode. Now go get them! www.TheAmazingSeller.com/workshop – get into the free workshop. www.TheAmazingSeller.com/LIVE – next event update. 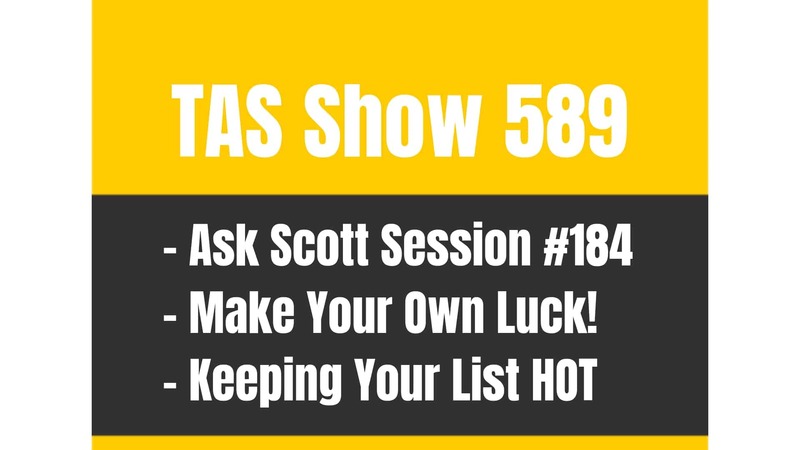 TAS 589: Ask Scott #184 – What’s The Best Way To Launch Products Using Email Lists? Amazing podcast as always and thanks for taking time to do these, dont know how you even find the time :). 1. If I do this, issue then comes that I have a 3% return rate as some people dnt like style of my product (though I have a 4.6 star rating and excellent pics) because there are other competitors to choose from and they return. Now while I am out of stock, Amazon will be trying to sell my returned inventory (1-2 units every other day) or they might even find some lost items and may want to sell those and I am thinking that this may hurt my BSR as A9 will think I sell very less now. So I read somewhere people suggested that we close the listing and re-activate when back in stock? Have you tested this method and do you agree with what I am saying here? 2. If I let my listing be live, I am worried that I might end up attracting hijackers (had quite a few of those) and with me being out of stock is golden opportunity for them to attack me. Hey Max, there is no reason to “delete or close” the listing, remember, BSR is sales overtime so as long as the “found stock” converts similarly any sales while you’re “out” would actually help you and not hurt you. If no one is listing inventory when you run out it doesn’t just sit on the search page, Amazon knows no one has stock and hides the listing, so again, not something you would need to worry about, any more than normal. Hey Scott, No I’m not doing anything at all other than keeping my listing stocked ….it’s showing as #1 in new release which I’m only averaging about 1 to 2 sales a day. Do customers get sent follow up emails from Amazon after they get their items for a review? Hey Francisco, the #1 new release badge is for each sub category, so props! Amazon sends the occasional follow up email, but they aren’t regular about it…that’s why I suggest using something like salesbacker. Hi Scott great info thanks …I appreciate all you do for us that want to try this Amazon selling. I have a question … I’ve been selling for about 2 months and sold about 90 units but not once have I gotten a customer review! …I’m totally suprised why I haven’t gotten 1 single review is there something that I need to do to activate reviews or just coincidence? Hey Francisco did you do a review giveaway or are you running a follow up sequence?